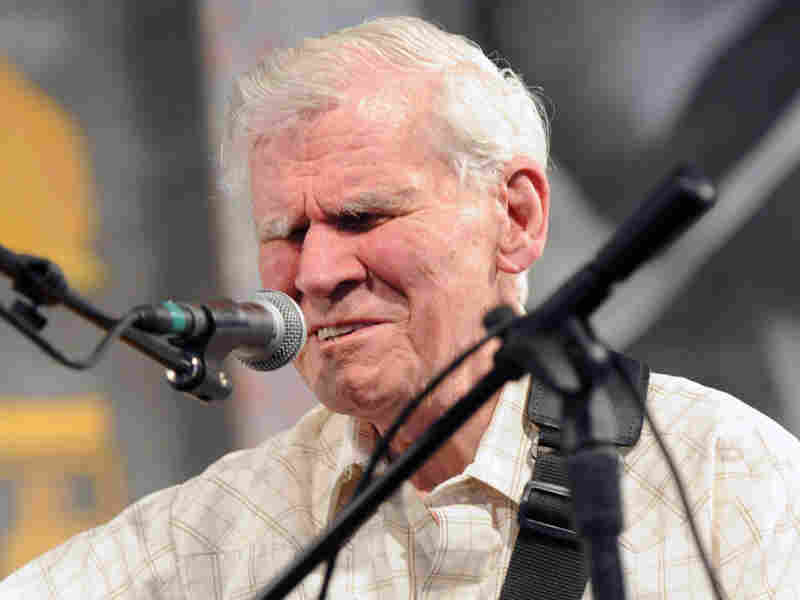 Doc Watson: An Old-Time Folk Musician With Soul In 1988, the legendary flatpicker and singer of traditional folk tunes spoke to Terry Gross about starting his musical career, touring with his son Merle and playing banjo during the folk revival of the late 1950s and '60s. Doc Watson has been called "a living national treasure" for his virtuoso flat-picking and his repertoire of traditional folk and bluegrass tunes. For more than five decades, the blind guitarist has been one of America's preeminent folk and country performers. Watson, who learned to play the banjo and the guitar as a young child, got his start performing on street corners around Raleigh, N.C. After picking up the electric guitar as a teenager -- and learning how to play rockabilly and old rock standards on his Les Paul -- Watson switched exclusively to the banjo and acoustic guitar. "Oh, Lord, if you'd have taken an electric guitar on the stage at some of those festivals, they would have booed you off the stage," Watson said in a 1988 interview on Fresh Air. "They used to call me 'ethnic' until they found out I knew a few of the tunes, other than the old hand-me-downs and the old ballads, the good old tunes I cut my teeth on. I think I really shocked some people in some of the clubs." Throughout the 1960s, Watson toured as a solo performer, even playing at the Newport Folk Festival in 1963. A year later, he began performing with his son Merle. After Merle died in a farming accident in 1985, Watson reduced his recording schedule but still makes appearances at bluegrass festivals across the country. He received a Lifetime Achievement Award from the Grammys in 2004. This interview was originally broadcast on March 24, 1988.